At least 27 people have been killed in Nigeria after 3 female suicide bombers blew themselves up in north eastern Nigeria. 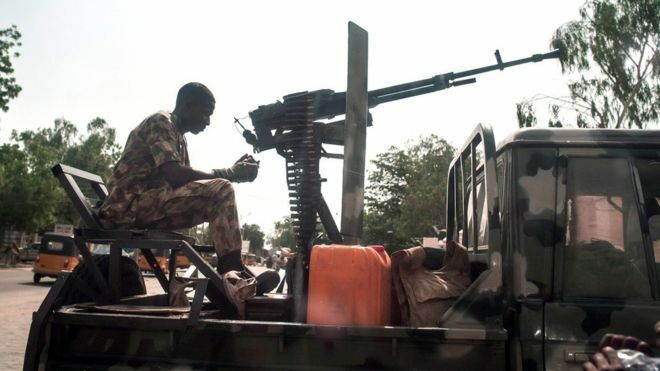 The attack was carried outside a refugee camp in Borno state and it has left dozens of people injured. A member of a vigilant force set up to fight Islamist militant groups, Baba Kura told AFP news that the first female bomber blew herself up near the camp and caused panic. “People were trying to close their shops when two other female bombers triggered their explosives, causing most of the casualties,” he said. 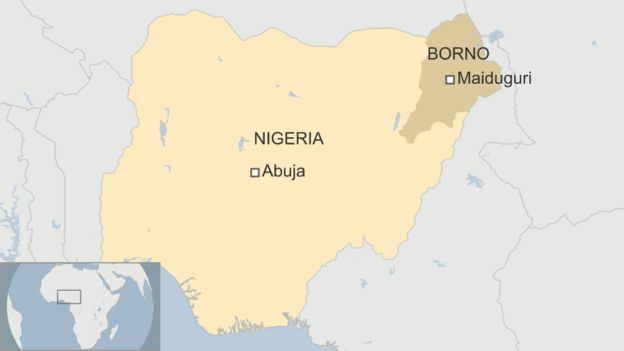 There have been several attacks in Borno state that the Islamist Militant group Boko Haram has been involved in. However, the militant group mostly uses male suicide bombers and this is among a few incidents where females were used. Boko Haram has been fighting to set up an Islamic state in Nigeria since 2009. Nigeria`s government had last year reported that Boko Haram Islamist militant group had been defeated.